Donald J. Trump convened the first meeting of his national finance team on Thursday amid persistent Republican concerns that a shortfall in fund-raising efforts and a lack of discipline were imperiling his presidential bid. During the gathering at the Four Seasons Hotel in Midtown Manhattan, Mr. Trump dwelled little on his recent controversies, including his comments about the Mexican heritage of the judge presiding in a lawsuit filed by former students of Trump University. But a top Trump surrogate, Gov. Chris Christie of New Jersey, did allude to the recent bumpiness of the campaign, said an attendee, John A. Catsimatidis, a New York investor and grocery magnate. 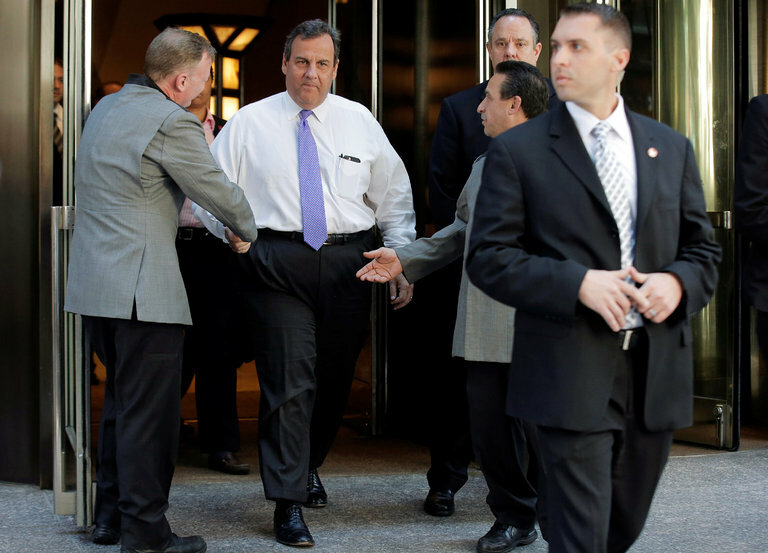 A spokesman for Mr. Christie referred questions to the Trump campaign. Graphic: Clinton and Trump Have Terrible Approval Ratings. Does It Matter? Among those also in attendance for the meeting were Reince Priebus, the chairman of the Republican National Committee, and Woody Johnson, the Jets owner and onetime supporter of Jeb Bush who recently joined Mr. Trump’s finance committee. Mr. Trump had initially said he hoped to raise roughly $1 billion by November for himself and the party, but efforts to date have been well off pace. He has since revised that figure downward. “We’ll raise what we need to raise,” Paul Manafort, Mr. Trump’s chief strategist, said after leaving the meeting. Mr. Catsimatidis echoed a recent suggestion from Mr. Trump that raising $1 billion was unnecessary because he attracted so much media attention. “He’s got $2 billion in free advertising and free TV,” Mr. Catsimatidis said. He added that he remained friends with the Clintons and had not committed to a candidate. In his remarks to the finance group, Mr. Trump expressed confidence in his ability to compete in states like New Jersey, Maryland and California that are rarely hospitable to Republicans, said an attendee who requested anonymity to discuss the private meeting. Mr. Trump has also hired a pollster to gauge his prospects in New York, causing consternation among Republicans who worry that he is spending foolishly.